It was so fun to see all of your guesses as to where we will be going. And a few of you guessed correctly! I can't wait to see what God is going to use us to do for His Kingdom. And I'm so humbled by the fact that He chooses to use sinful, broken nobody's like us to carry out His will. -New Zealand means, "Land of the long white cloud"
-They have more sheep than people. There are 9 sheep to every human in NZ. -A "kiwi" is New Zealand’s native flightless bird as well as the slang term for a New Zealander. Kiwis call the fruit “kiwifruit” or Chinese Gooseberries. -NZ is the first country to see the sunrise. -The awesome movie series "Lord of the Rings" was filmed entirely in NZ. -Bungee jumping originated in NZ. That's so neat! New Zealand looks like such a beautiful country. How long will you go for? What a wonderful thing! I have felt the Lord leading me as well. Good for you! You are in my prayers! It's also where many of the original members of the Newsboys are from. It's supposed to be beautiful, blessings during this time of preparation, I know that God has great things planned for you all! oh wow, how exciting for you. I grew up in Tauranga, it is a beautiful place. I am a kiwi, living in Australia but moving back to NZ in 7 weeks. You will love it there!!! We used to live in Hamilton, an hour from Tauranga. 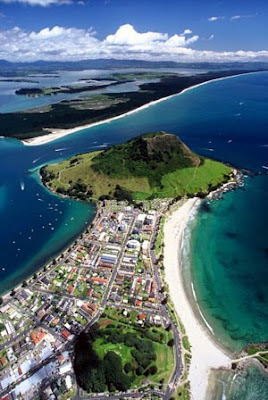 Tauranga is a beautiful place with a nice slow pace of life. All the best for your move.